In honor of the new Robin Hood movie out this week, we’ve compiled a list of our must-read Robin Hood books that offer retellings and unique reimaginings. As one of the most well-known tales in English Folklore, the story of Robin Hood has hundreds of adaptations and variations, dating back to the Late Middle Ages. It’s no wonder that hundreds of years later his stories are still being written and rewritten in new books. With a dynamic cast of characters and the “steal from the rich to feed the poor” mentality, this historic story still holds weight today. Within the film scope of Robin Hood retellings, we have the staples: The Adventures of Robin Hood (1938) with Errol Flynn, Robin Hood Prince of Thieves starring Kevin Costner, Mel Brooks’ Robin Hood: Men in Tights, Disney’s Robin Hood, and my favorite: Robin Hood (BBC). While movies and TV Robin Hood retellings are popular, it’s in books where more variations to the more traditional plot lines happen. When it comes to the big and small screens, the audience expects certain aspects to be present when it comes to the Robin Hood lore. Literature, much like the original ballads that deviates throughout the ages, is much more fluid with the story of Robin Hood, and we’ve compiled a few of our favorite Robin Hood books for anyone whose spark has been reignited with the new movie out this week starring Taron Egerton. With a unique plot, this series breathes new life into the tales of Robin Hood. We are waiting with baited breath for the second book in the series, which hopefully will come out in 2019. 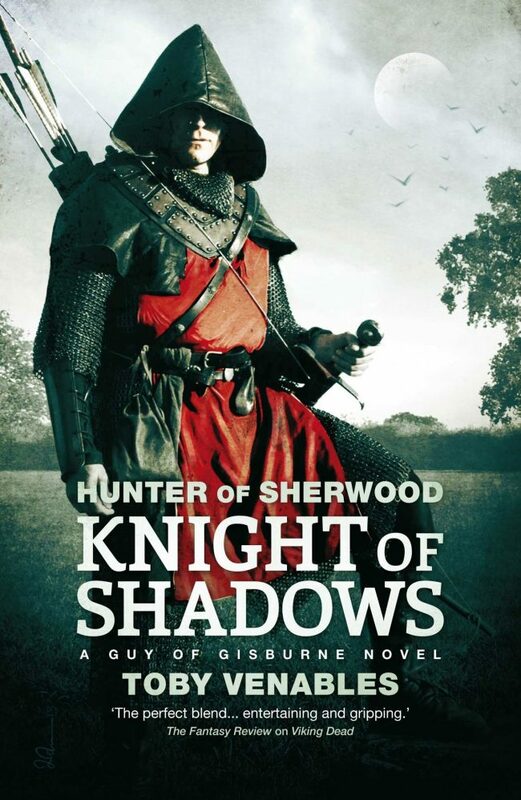 The Guy of Gisburne series is totally bingeable. With three books out in the series, it’s like a book version of watching a Netflix series in one go. Once you start, you won’t be able to stop. With Alan Dale in the spotlight, this gritty series has eight novels and multiple novellas within its verse. Not for the faint of heart, this Robin Hood series has realistic violence and doesn’t hold back. Largely based on the original ballads, it holds a special place in die-hard Robin Hood fans hearts. With detailed representation of the day to day life of the outlaws in the forest, it’s a must-read, though it is hard to come by. 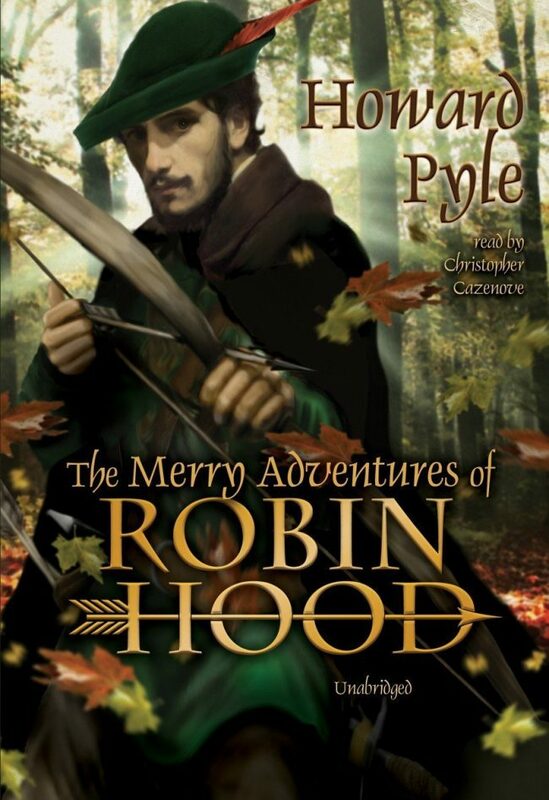 A refreshing and unique retelling from the perspective of Maid Marian, this reimagining brings a youthful and sense of wonder to Robin Hood’s adventures. A young adult retelling, this tale focuses on young Matty and her friend Fynn. Together they become Maid Marian and Robin Hood as they fight to steal from the rich to feed the poor. 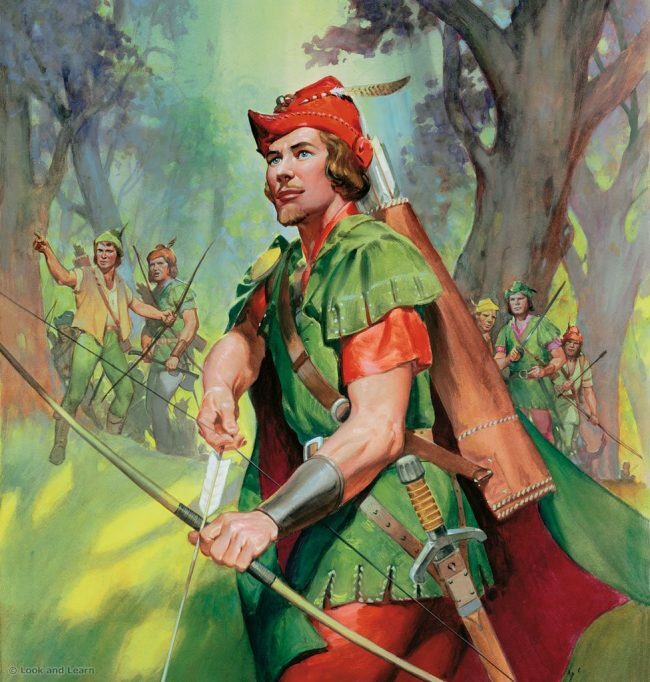 For those who aren’t looking to completely remake Robin Hood into something new, but to keep to the more traditional version of his adventures, there are plenty of books that center around the classical Robin Hood tales of his dealings with Prince John and the infamous Sheriff of Nottingham. Not only are there novels upon novels of Robin Hood retellings, but interesting books about the legend of Robin Hood itself. These books go into the history behind the English Folktale and the ballads themselves. Whether you prefer a more grim and violent interpretation or a more comical and carefree version of Robin Hood, there is a book, movie, or TV adaptation of these tales for everyone. There is something about it that transcends time, and no matter how many reimaginings there are, each version feels like something new. My sister, for instance, is a huge Robin Hood fan and has been for most of her life. From watching Disney’s Robin Hood growing up to taking archery in college, the tales of Robin Hood have been in her life and are as much a part of her as any fandom love could be. Collecting every copy of Robin Hood and his adventures as she can, she even has one from the early 1900s. We all have stories we gravitate toward, that hook us in every time, and Robin Hood is one of the most dynamic and transitional stories throughout the ages that has only grown with age. It’s amazing when you think about the fact that these stories are almost 700 years old and are still being re-molded and rebranded over and over again but maintain true at their core. There is no doubt about it: the plotline of robbing from the rich and giving to the poor and essentially sticking it to the man has always been topical and isn’t going anywhere. With the newest Robin Hood reincarnation coming out this week, I’m sure this won’t be the last of its kind. In fact, I hope it isn’t. I hope that the many tales and adventures of Robin Hood lives on forever, passed down throughout the ages until the end of time. Vigilantes and common people taking corruption into their own hands will never go out of style, because fundamentally that’s what we all want: for there to be a fair chance for all, for our fellow men not to starve because only a few hold most of the power and money. Though the story of Robin Hood is hundreds of years old, it seems like society itself hasn’t changed much, keeping his adventures topical and socially relevant despite the passage of time. Robin Hood starring Taron Egerton, Jamie Fox, Jamie Dornan, and Eve Hewson opens this week. Be sure not to miss it!